The manufacturing industry is full of professionals and potential leads who may be interested in your product or service. Find and connect with them easily with this ready-made, pre-built contact list of manufacturing companies in the USA from Bookyourdata.com. Look up manufacturers within minutes! Connect with highly qualified professionals today with our email list of manufacturers: This dynamic manufacturing database from Bookyourdata.com is fresh off the line! You can download this product, integrate it into your CRM, find the contact information you need (whether that's manufacturing emails, phone numbers, fax numbers, postal addresses, titles, names, or all of the above), and then email leads who are more likely to result in B2B sales. Start marketing to the right people right away. Our manual and automated processes ensure that our premium list of American manufacturing companies is accurate and updated frequently. If you want to get in touch with manufacturers, email lists from Bookyourdata.com are the ones to use. This is one of the best ways to find and get a hold of manufacturers. 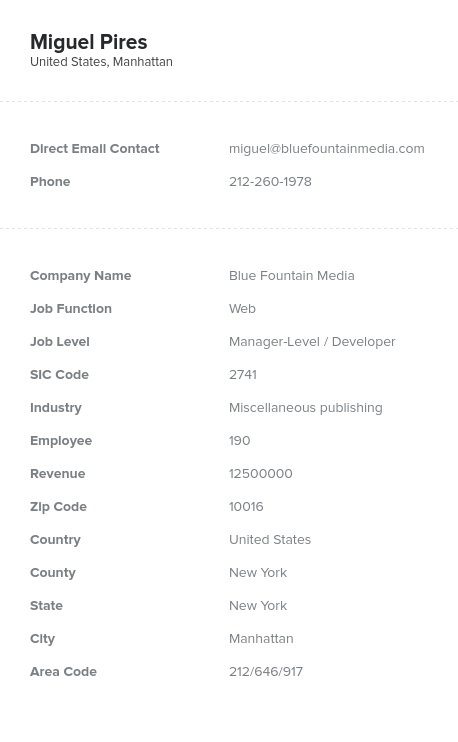 Email lists from Bookyourdata.com only have direct, non-generic information, which means that you'll be able to look up employees, executives, managers, or staff on a name-by-name basis. Manufacturing is often dangerous and fast-paced, and those working in the industry need safety equipment, maintenance protocols, training programs, and organizational tools to do their jobs as safely and efficiently as possible. Let them know about your company's relevant product with the help of this contact list of manufacturing companies that includes targeted sales leads. Use this affordable manufacturing company list to market your business to the people who most likely will be interested in your services or buy your products. We want to help you get better leads and more sales. Connect with the people that matter using this ready-to-download mailing list of manufacturing business contacts, or try our build-a-list tool now to make your own manufacturing database!